As always, refresh your browser if they don’t show up for you in your preferences! I just realized that we only have two new skins for 4.3. Can we atleast have Skyes skin still up for 3.4? We have 3 skins: bandit cain, infernozo and Kurokage Idris. Because I forgot him! Oops! Will fix! LOVE the Ozo background. I’ve never played him. The skin is so cool to me, that I’ll be watch the spotlight, watch some YT vids, and of course be reaching out to our very own @DIMTI for some tips! I like the cool castle still. Where is it from? 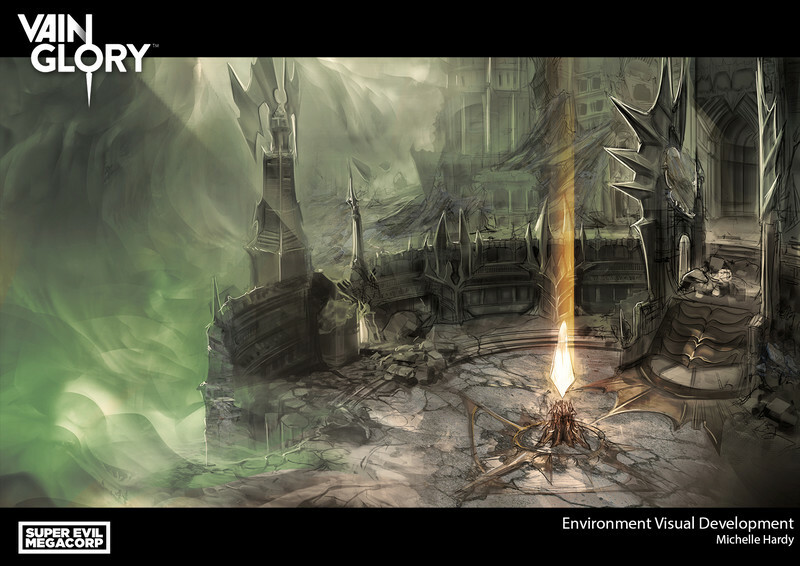 It’s called “The Academy” and it’s by Michelle Hardy (aka Noxii), formerly senior concept artist at SEMC, now at Castle Hill Gaming.